Did you know that Mikalah Gordon (American Idol finalist, comedian, and pop singer) had a stint as a Country music artist? 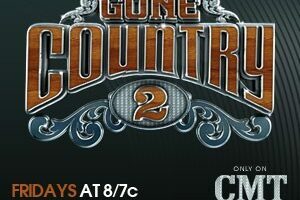 She appeared in Nashville for the ‘Gone Country’ reality TV series singing Country songs as part of a music competition. Here you'll find our pictures and reviews of her performances at the Wildhorse Saloon, where the show was taped. The moment Mikalah Gordon stepped on stage at the Wildhorse Saloon in Nashville for the season finale of Gone Country 2, she had the crowd on their feet and cheers from every corner of the place. Not only was she the ‘hottest’ chic in the competition this year, most of the guys in the front row were convinced she was the hottest thing in the building!